Description: Contains several excellent b&w plates (including a frontispiece). 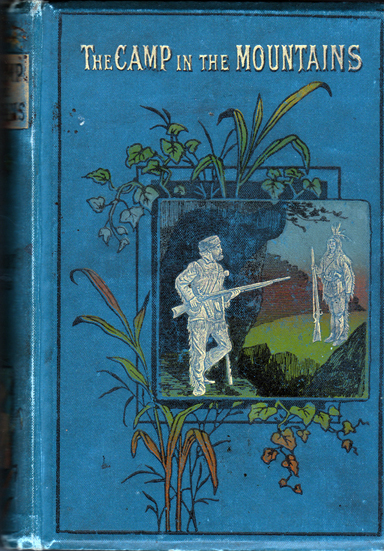 Pastedowns and endpapers illustrated with a sepia pattern of the publisher's logo. Pictorial lapis lazuli cloth boards with gilded text and illustrations on front and spine. Spine and corners bumped; minor soiling and wear on former. Hinges slightly loose; though this has not affected the binding, which remains sound. First few pages foxed; very sporadic thereafter. Neat gift inscription in black ink on flyleaf. A few pencil inscriptions on front pastedown and endpaper. A careless car-booter or other trader has used blue ballpoint to scribble out the previous price of 6/- on the fep. His 'revised', decimalised price of '3p' appears in the upper-right corner. Page 211 has been torn out – evidently whatever was written there was not to the previous owner's taste! Incredibly for a book that is nearly 120 years old, all pages have resisted tanning. Measures 19 cm × 12.5 cm (7.6″ × 5″). Oversize 12mo. 366 pp. + extensive 14 page catalogue of other books by the publisher.